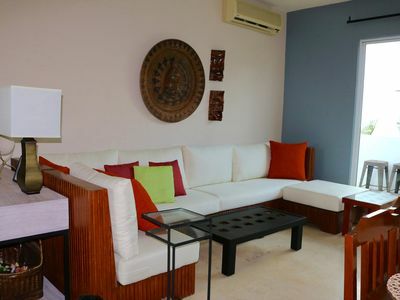 2BR Condo Vacation Rental in Playa del Carmen, Q.R. Best location. Newly updated, spacious 2 bed, 2 bath condo. 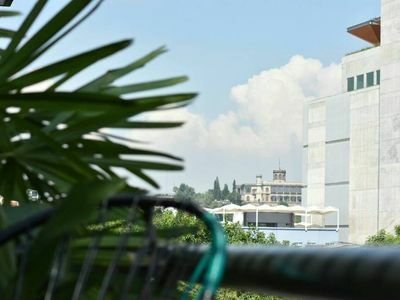 Building is secure with pool and rooftop amenities. Unit features include custom furniture, 55" flatscreen, high ceilings, travertine floor. Sleeps 6. Steps to 5th ave, 2 blks from beach! Our space is professionally decorated with a nice mix of modern and mexican decor. It is a very relaxing space with natural material and high-ceilings. It can accommodate up to 8 people quite easily. The kitchen and dining room has everything you need to make meals and entertain. 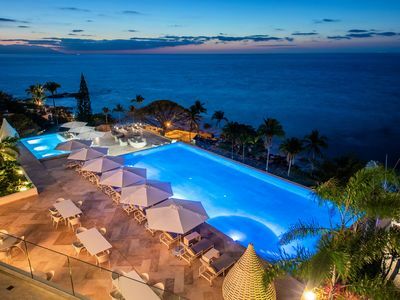 You will be able to use all areas of the unit including the rooftop and pool areas. If you rent a car, there are some parking spaces on the first level. He employs a husband-wife team by the names of Noel and Gaby. They take care of cleaning the building, repairs and cleaning of the unit. They are very nice and are only Spanish-speaking. Our neighborhood is unique in that we are located on the quiet side of 5th Ave. There are many many restaurants, cafes, artisan shops, art galleries, etc. 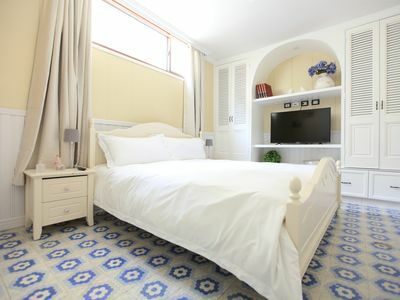 Furthermore, we are located 1.5 blocks from the beach, about a 5 min walk. 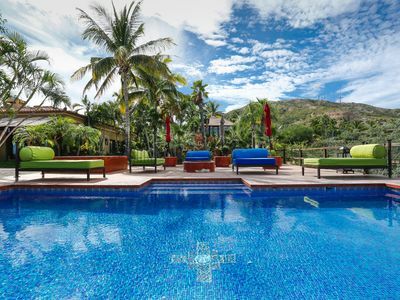 The community is comprised of Mexican natives, expatriates and tourists. It feels very safe and eclectic. Also, the grocery shopping are close and numerous with 5 minutes walking. Getting around in Playa is fairly easy as there are many options. 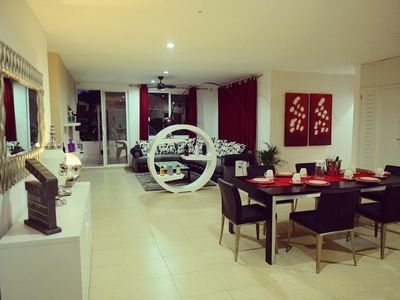 3 bedroom apartment in Playa del Carmen, Q.R. 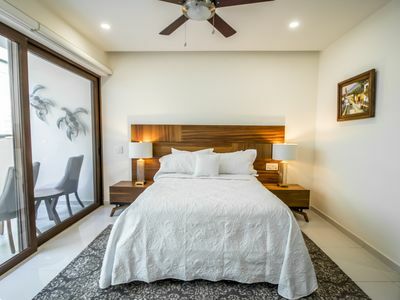 1 bedroom bungalow in Playa del Carmen, Q.R. 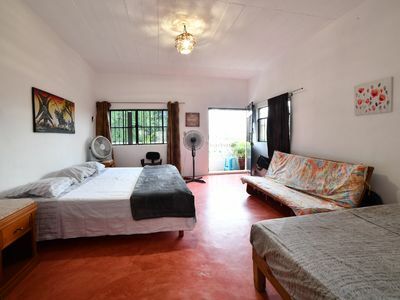 studio in Playa del Carmen, Q.R. 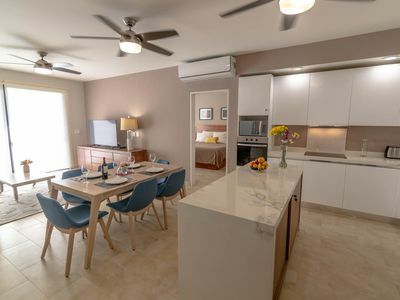 2 bedroom apartment in Playa del Carmen, Q.R. 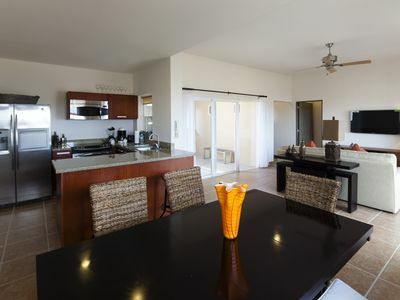 4 bedroom condo in Playa del Carmen, Q.R. 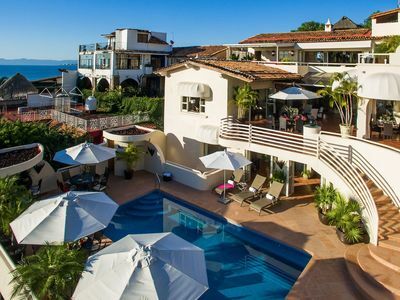 8 bedroom house in Playa del Carmen, Q.R. 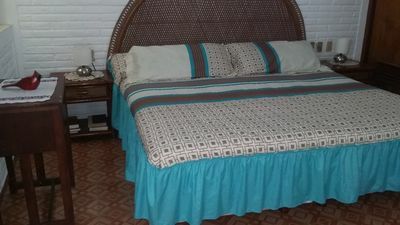 guest house/pension in Playa del Carmen, Q.R. 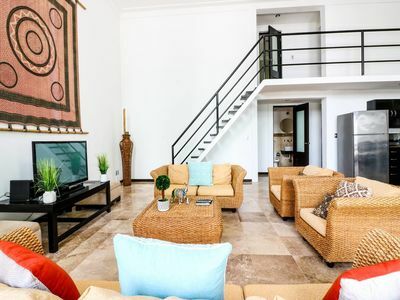 4 bedroom apartment in Playa del Carmen, Q.R. 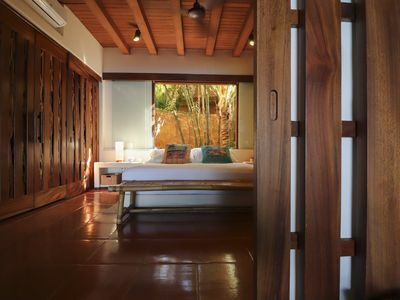 Amazing, ocean view studio in the heart of Playa del Carmen. 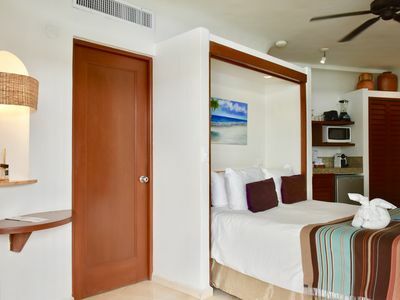 1 bedroom hotel in Playa del Carmen, Q.R. 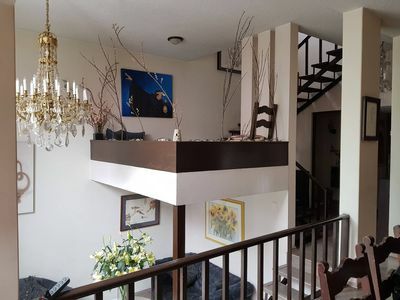 6 bedroom house in Playa del Carmen, Q.R. 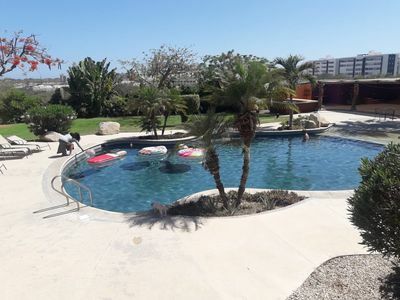 PDC042 - Sheily All · 10BR Penthouse Combo 3 Blocks to Beach, Sleeps 25! 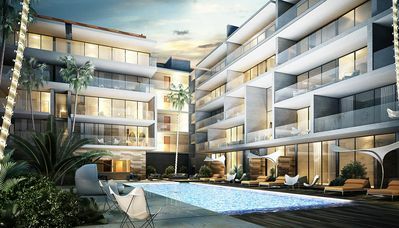 10 bedroom condo in Playa del Carmen, Q.R. Condo Nayri 108 Steps to The Beach! 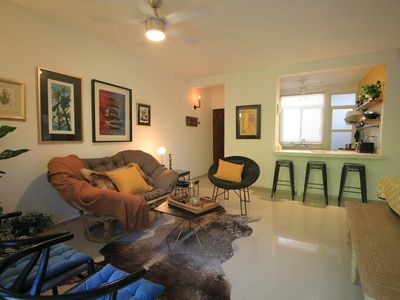 1 bedroom house in Playa del Carmen, Q.R.